Is this Canadian food, Mama? My 6 year old asked just as I was packing her lunch this morning. In the tiffin box there was whole wheat pita with homemade hummus, snap peas and cucumber, along with strawberries on the side. A normal lunch menu in our house, it’s nothing like the packed lunches my mom used to prepare when I was a child. Growing up in India my mom would roll parantha and sabzi (Indian flat bread with dry vegetable curry) along with perhaps an apple but only if it was a cool day. Warm India climate and fresh fruits don’t really mix well. That left us with parantha rolls and sabzi. The Indian version of ham sandwiches. Boring and sedentary. My husband and I moved to Canada almost 15 years ago. Like so many other immigrants before us, we brought everything we could possibly carry; pots and pans a trunk load of books and of course our culture and traditions. Food has always been a big part of this experience where immigrants bring over their diverse food and cooking techniques perfected over generations from far regions of the world. So when my youngest asked me, “Is pita and hummus Canadian food, Mom?” I hesitated. Yes, hummus is originally from the Middle East. But today it is made in my home in Canada using a traditional homemade hummus recipe adapted from my days living in Dubai. I use chickpeas grown in the fields of Saskatchewan, and it is my little Canadian child who enjoys it along with her friends in her school gym in Canada. Food is a result of a person’s culture and traditions. What we eat is influenced by where we are from but also where we live. The techniques may be rooted in our past but the ingredients are governed by our present. That brings me to Salmon. Fresh Atlantic salmon is as Canadian an ingredient as it comes. And marinated with Indian spices (masala) and onions and then pan-fried – what does that make it? Delicious for one! 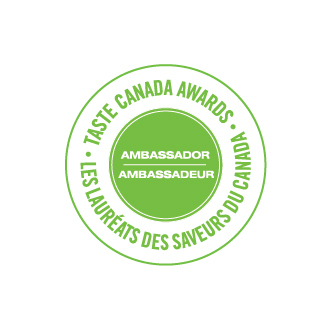 In 2017 I will be participating in the Culinary Historian’s of Canada CHC Canada 150 Food Challenge. Every month there will be a new theme where I will be showcasing a delicious perspective on Canadian food. This month’s theme is seafood. Salmon is a robust fish, and it can take a lot of flavour. Briefly marinated with a mix of smoky kashmiri chillies, dry-roasted coriander seeds and fragrant cumin powder along with lemon juice for zing, this dish is easy to prepare and tweak depending on your family’s tolerance of heat. Roast the coriander and cumin seeds for a few minutes in a pan and then grind them in a mortar with a pestle, or a coffee grinder. 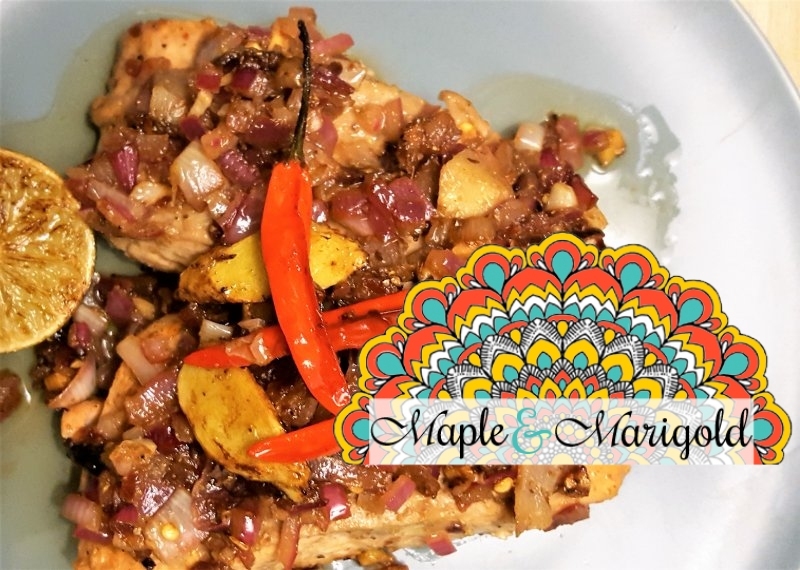 You can also use packaged spices for this recipe. 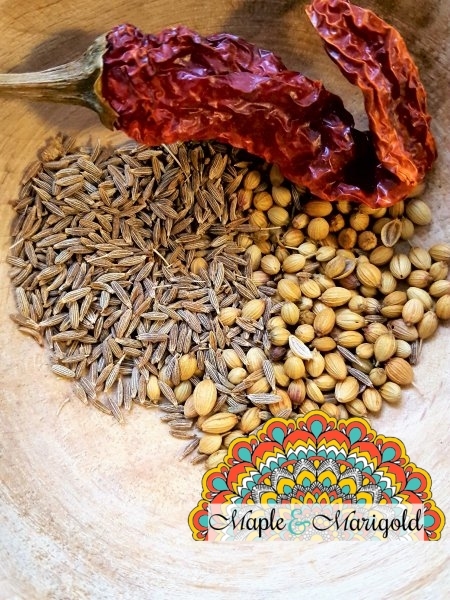 This is the dry-roasted masala that you can then store for more than a year in an airtight jar. Combine (or blend in a small food processor) the lemon juice, chopped green or red chillies, dry roasted masala, shakkar (raw cane sugar), garlic and ginger. Kashmiri chillies have a more smoky flavour and are lower in heat. 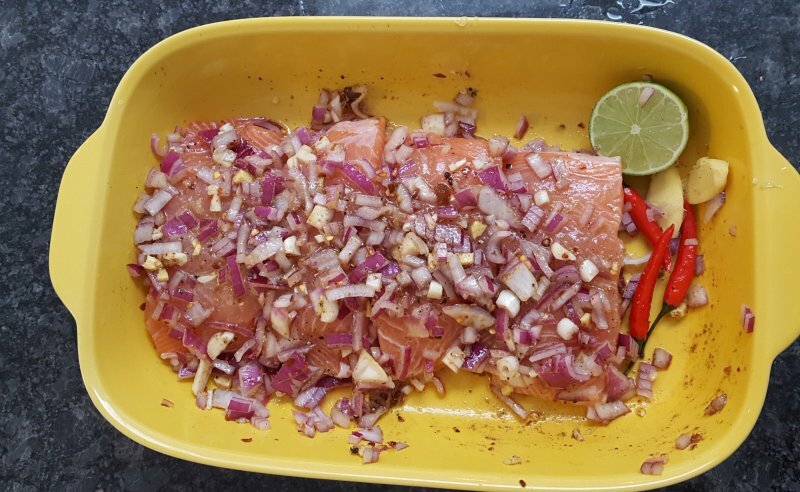 Coat the salmon fillets in the marinade mixture and press down the onions. Leave aside for 30 mins while you get the rice ready or yell at the kids to do their homework. Pan fry the fillets for 4-5 mins on either side. Make sure the onions are cooking as well. Serve with rice, quinoa or a salad. Enjoy. It is interesting how foods and cultures seem to blend together, especially here in Canada. This blend makes it interesting and different. And food so delicious, doesn’t it? I love that you are bringing your own heritage to Canadian food culture. Since Canada is a land of many people with many backgrounds it is important to celebrate all the foods that make up our country! Nice way to give a flavor boost to salmon! Love Salmon, Love Indian Food should be a great mix! Thanks for sharing! I had the distinct displeasure of working with a rather ‘challenging’ individual several years ago. This person had many very strong opinions which were generally presented as facts. One particularly unpleasant opinion was that Canada had no food culture (actually this individual insisted that Canada had no culture, period, but that’s really a story for another day). Needless to say that I chose not to beat my head against a wall, and soon gave up on any hope of conversation with this person, but the idea has always stuck in my craw over the years. Canada is a young country with a fascinating (and mixed) history. Greatness and atrocity lie in our past, and the good and bad stories of many, many individuals have created a complex and interconnected social fabric. Sadly there are those who scoff at the idea that the intermingling of ingredients and cultures within our borders can create a unique culture, but I fail to see how it can be argued any other way. I love that this country is striving to be a place where people can forge their own identity instead of having identity thrust upon them, and I love the food culture that is growing here because of that. Your recipe sounds delicious. Your story is lovely. And I can’t wait to see all of the recipes – Old World, New World, or somewhere in between – that come our way in the future. Cheers. I’m always amazed at how people can hold such strongheaded opinions about something, and be so obviously wrong. Many layers, and colours, and textures can only make a painting more beautiful, and a story more interesting. Loved reading your story, Puneeta! What I always found great about Canada, is the multicultural aspect of food. It is here, with my husband who is a lover of the intermingling of different cultures, that I have widened my horizon and tried many foods I had never had in Italy. My husband, first generation Canadian, is amazing in fusion cuisine. 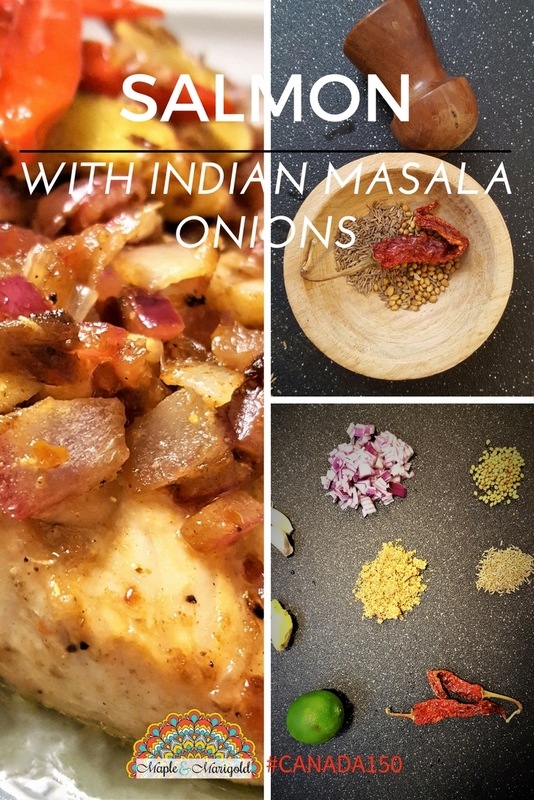 Your salmon with Indian masala onions sounds lovely and one we’d like to recreate at home. Canadian food truly is a multi cultural blend. 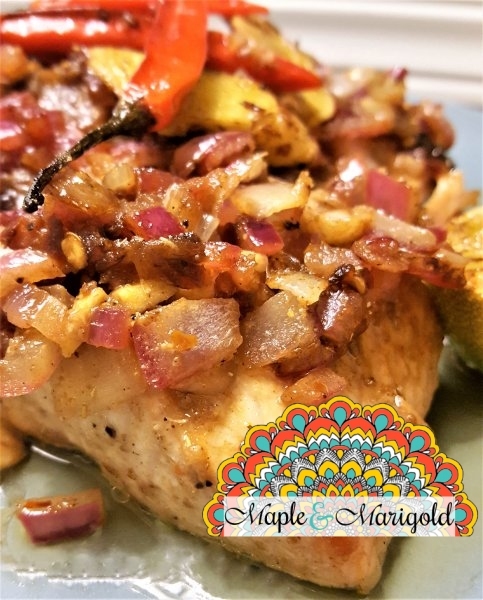 I loved reading your story and this recipe looks divine. We eat a lot of salmon, so I’ll definitely be trying your recipe out.